There is currently a total of eight Australian’s playing for six different NBA teams – the most of almost any international country. Not only this, but some of these players are among the superstars of world basketball. 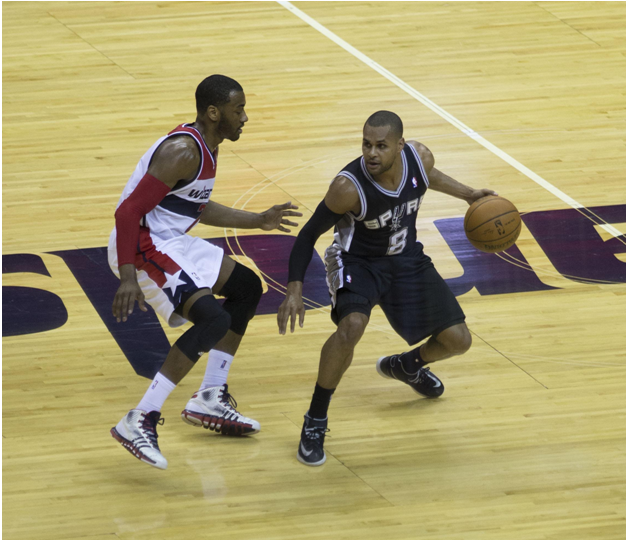 Mills is contracted with the San Antonio Spurs, where he has already played a number of seasons. He has long been the star of Australian basketball (leading the Boomers in numerous international competitions), and has managed to transfer this form into the NBA. Although he probably deserves a starting position, the Spur’s coaching team seems to enjoy having Mills’ experience as a bench player to keep the second tier players up to speed. Expect to see him play a significant role for years to come. Simmons became the third Australian to be taken with the number one NBA draft pick in just 11 years when the Philadelphia 76ers selected him in the 2016 draft. Although he is yet to play a huge role with the 76ers, his potential is enormous. He has already played basketball for the Boomers, despite the fact that he is just 20 years old, and we can expect him to be at the forefront of Australian international teams for years to come. In his only season of basketball in America before being drafted, Simmons played college basketball. He finished the season by being named in the All-American team and as the USBWA National Freshman of the Year – a prestigious award. Bogut is an extremely experienced basketballer, having played in the NBA since he was drafted with the number one pick in 2005. During a decorated career has has played for the Milwaukee Bucks (2005-2012), the Golden State Warriors (2012-2016), the Dallas Mavericks (2016-2017), and the Cleveland Cavaliers (2017). He was named in the NBA all-rookie first team in 2006, the all-NBA third team in 2010, and the NBA all-defensive second team in 2015. Unfortunately, Bogut broke his leg in March 2017, which led to the Cavaliers releasing him from his contract. His NBA future is uncertain, and only time will tell whether he will take the court again. While he is just 20 years old (born 25th February 1997), Thon Maker has been touted as one of the most promising recruits of recent years. The Sudanese born Australian basketballer was selected by the Milwaukee Bucks with pick number 10 in the 2016 draft. He played in 63 games in his debut season, starting in 40 of these, and it seems that he will be a strong player for the Bucks heading into the future. Dellavedova is the second Australian player on the Milwaukee Bucks’ team. He played for the Cleveland Cavaliers for four seasons between 2013 and 2016, winning the NBA championship in 2016. He then moved to the Bucks in 2016, and looks to shape as an important player for their future. Dellavedova has played for Australia on numerous occasions, including in the 2012 and 2016 Olympics, the 2014 World Cup, and a number of FIBA Oceania Championships. Baynes is a New Zealand born Australian basketballer who has been playing professional basketball since 2009. In this time he has played for an incredible six different teams, including Lietuvos Rytas (Lithuanian Basketball League, 2009-2010), EWE Baskets Oldenburg (German Basketball Bundesliga, 2010-2011), Ikaros Kallitheas (Greek Basketball League, 2011-2012), Union Olimija (Slovenian Basketball League, 2012-2013), and the San Antonio Spurs (NBA). In mid 2015 he switched to the Detroit Pistons, where he has played a crucial role as a second tier player. Joe Ingles has also played for a wide range of teams throughout Europe and The USA during his long and decorated career. He joined the Utah Jazz in 2014. However, he was first picked up by the Los Angeles Clippers after a strong showing in the 2014 FIBA World Cup. The Clippers waived his contract after just five preseason games, and the Jazz signed him just two days later. He has played 253 games during his NBA career, and has started in 71 of these. Exum is the Jazz’s second Australian player. He took an interesting path to the NBA, choosing not to play college basketball after finishing high school in Australia in 2013. He went straight into the draft where he was selected at pick number five in the 2014 draft. Although he has played just two seasons since he was drafted (he missed the 2015-16 season with a torn ACL), he has already played an incredible 155 games. He started in 67 of these games, and shapes to be one of the Jazz’s (and Australia’s) most valuable players in the future. Australia is extremely well represented in the NBA and in international basketball in general. With 2020 Tokyo Olympic Games set firmly in their sites, the Boomers will be closely watching the progress of the eight Australians who are currently playing in the NBA.